The Abby’s House Thrift Shop is now open at its newly renovated space at 52 High Street! The Abby’s House Thrift Shop serves as a source of income to support the mission of Abby’s House. Full of quality clothing, accessories, home goods, and bargain-priced cosmetics, we encourage you to visit the store, not only to donate items, but to also add some great pieces to your wardrobe! In addition, the Thrift Shop serves as a community resource for homeless and low-income women in need of free clothing and necessities. To learn more about obtaining a Thrift Shop voucher, please visit our advocacy page. The Thrift Shop is closed on all federal holidays and follows the Worcester Public Schools inclement weather policy. You can reach the Thrift Shop at (508) 756-5486 x212. 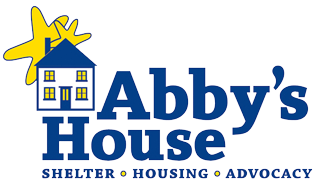 Donations can be made directly to the Abby’s House Thrift Shop, located at 52 High Street, during regular shop hours. Limit 10 bags or boxes at a time. Seasonal clothing is preferred. All items should be new or gently used, clean and in bags. *Please note that due to The Consumer Product Safety Improvement Act, we can only accept these items if they are new, in packages or tagged. Parking is available at the Federal Plaza Garage or on High Street.